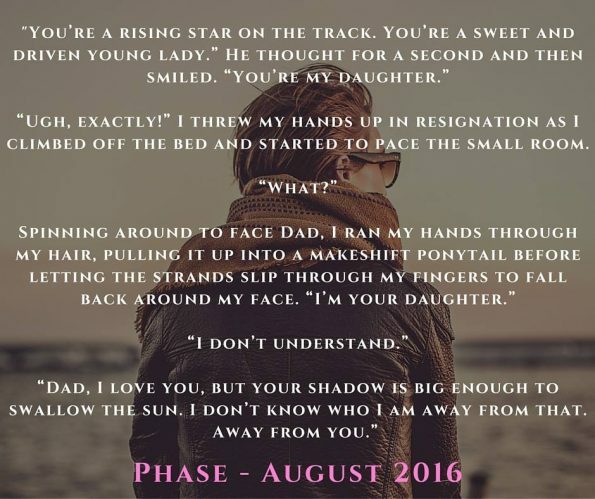 Review – Phase by Michelle Irwin – 5 Stars!!! Phoebe Reede needed space to discover who the girl behind the car and the media really was. A trip overseas found her discovering much more than she ever imagined. Phase blew me out of the water! It’s a sweet young adult romance that has you discovering who Phoebe Reede truly is, right along with her. This story had my heart full of love and feeling all swoony. I was captivated from the very beginning and knew that the adventure ahead for Phoebe would be one, I as a reader would never forget. Michelle Irwin has without any doubt pulled out all the stops with Phase and written another brilliant story that she has poured her heart and soul into. Phoebe without any doubt and much to her annoyance at times is so much like her father the one and only Declan Reede, and that to me is not a bad thing at all. She is as passionate, caring and loving as he was, along with a wonderfully structured vocabulary that has you laughing out loud often. She also holds traits of her mother Alyssa, and the two combined are what make her irresistible and easy to love. On her travels she meets an array of people, and one person captured her full attention. They were hard to forget, to ignore or to try and resist. I have no doubt that most readers with want a piece of this character too. Their charm, humour and heart was alluring in all the right ways. The adventures and fun they had together is unforgettable and I felt as though I was living the adventures right along with them. This story is not without its misunderstandings and miscommunications. This book will leave you wanting so much more and with a mixture of feelings. Frustration at the lack of communication and stubbornness. Hurt that something so wonderful suddenly became something so much more devastating. And wonder in how the bomb shell happened. Who was involved and what did they do to create unease and devastation. Yes, this book does leave you with a cliff hanger and for me one of the best kind. I cannot wait to see Phoebe follow her dream and how her path pans out. 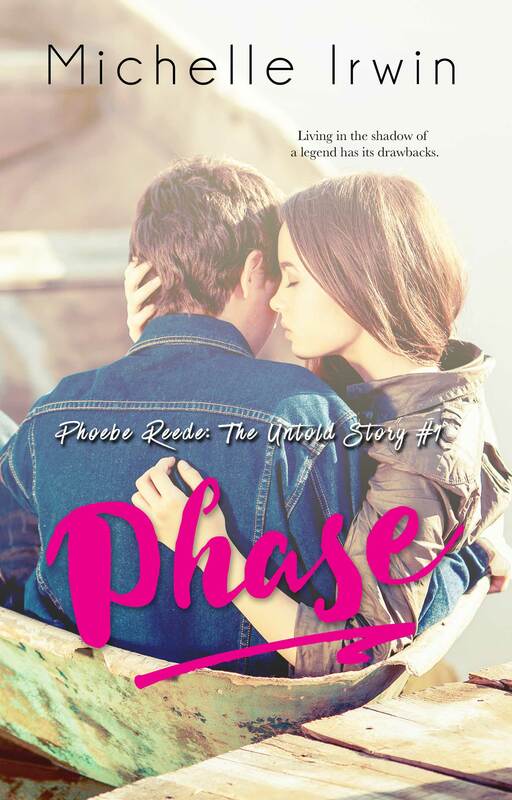 If you love romance, suspense and humour than I highly recommend Phase by Michelle Irwin and in order to get the full reading experience I would suggest reading the Declan Reede series first, although this book can easily be read as a standalone.